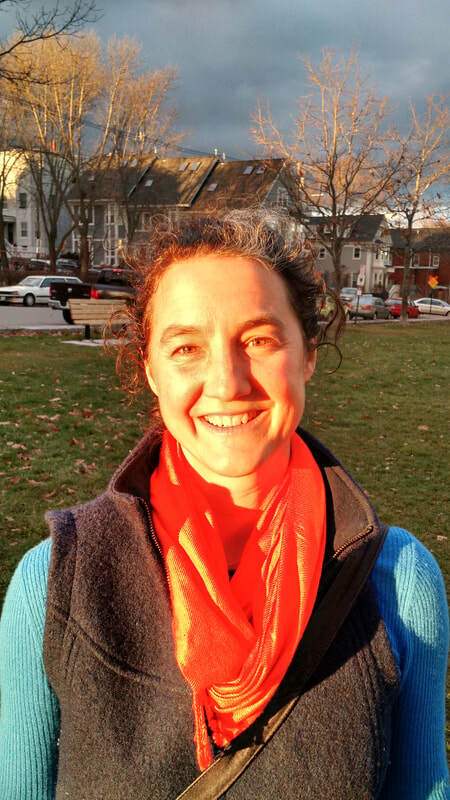 Mischa Schuler is an herbal practitioner and medicine maker offering herbal consultations in Portland, Maine in her private practice Wild Carrot Herbs. She has a zest for Life and a playful, caring attitude, which she brings to her practice. She specializes in women and teen anxiety support, as well as fertility and thyroid health. 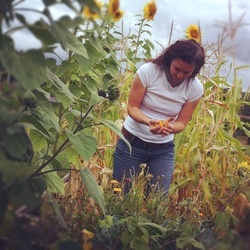 Her herbal studies have been through apprenticeship with Deb Soule of Avena Botanicals, in Rockport, Maine and clinically at the Tai Sophia Insitute in Laurel, Maryland where she earned a Master of Science degree in Herbal Medicine during a three year course of clinical study. She has been in practice for nearly fifteen years. Mischa offers herbal apprenticeship programs and classes locally. Her herbal apothecary is stocked with powders, tinctures and teas, which she formulates specifically to individual needs with the intention of healing the vitality of underlying tissues so that acute and chronic conditions resolve without recurrence. Her greatest teachers are the plants and she feels tremendous gratitude that she is able to share their gifts through teaching, gardening, and in consultation with extraordinary people. "Mischa, such a joy to meet you! I absolutely love this tea. Thank you for your time and your heart and your expertise. You are such an inspiration." ~M. "Mischa has been nothing but kind, caring and knowledgeable while helping me through a recent illness. She is passionate not only about her work but also with her patients! Also, she makes the tincture/herbal teas in front of you and teaches you what each thing will help towards. So cool and informative! Thank you." ~A. "Where do I even begin? THANK YOU! You have been crucial to this time in my life. I wouldn’t be where I am today if it wasn’t for you." ~P. "Thank YOU so much for taking time from your busy schedule and life to expose and educate us to some of your vast knowledge and expertise on how to integrate herbs, spices and plants into our daily lives to improve our health, short and long term. I really appreciate all your time, efforts and passion you put into your presentation. Your laid back, relaxed, go with the flow style allowed us all to feel you were accessible, real, relatable, funny and entertaining while being very informative. Your presentation was very interesting and I appreciate being exposed to your information. Thank you for sharing!" ~ C.